The funeral is a ceremony of proven worth and value for those who mourn. It provides an opportunity for the survivors and others who share in the loss to express their love, respect and grief. It permits facing openly and realistically the crisis that death may present. Through the funeral the bereaved take that first step towards emotional adjustment to their loss. Only you can answer that question. The type of service conducted for the deceased, if not noted in an advance plan, is determined by each client family. The service is usually held at a place of worship or our facility. The service may vary in ritual according to religious denomination or the preferences of the family. The presence of friends at this time is an acknowledgment of friendship and support. A private service is by invitation only where selected relatives and a few close friends attend the funeral service. 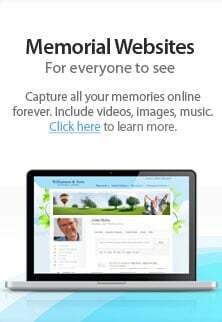 A memorial service is usually a service without the body present and can vary in ceremony and procedures according to the family's community and religious affiliations. Absolutely, in fact, we recommend it. After all, the funeral is a celebration of life. We are happy to discuss all options and ensure your funeral or memorial service is tailored to your wishes. It may be personalized in many unique ways. Contact us at (570) 823-4567 to explore the possibilities. It is helpful to friends and the community to have an obituary notice published announcing the death and type of service to be held. A notice can be placed in a local and out of town newspapers, and will be published on our website. We are caregivers, facilitators and administrators. We make the arrangements for transportation of the body, complete all necessary paperwork, and implement the choices made by each client family regarding the funeral and final disposition. As caregivers, we are listeners, advisors and supporters. We have experience assisting the bereaved in coping with death. We are trained to answer questions about grief, recognize when a person is having difficulty coping, and recommend sources of professional help. We are available 24 hours a day, seven days a week. All you need to do is place a call to us at (570) 823-4567. If you request immediate assistance, one of our professionals will be there within the hour. If the family wishes to spend a short time with the deceased to say good bye, it's acceptable. We will come when your time is right. Our staff can assist you if a death occurs anywhere around the globe. Contact us immediately and we will assume responsibility and coordinate the arrangements for the return of the deceased to the Wyoming Valley. Depending on the location of death and distance from our offices, we may engage the services of another funeral director who will act as our agent. Embalming sanitizes and preserves the body, retards the decomposition process, and typically enhances the appearance of the deceased. It makes it possible to lengthen the time between death and the final disposition, thus allowing family members time to arrange and participate in the type of service most comforting to them. Embalming the body enables mourners to view the deceased if they wish. The emotional benefits of viewing the deceased are enormous, particularly to those having difficulty dealing with the death. Except when required with a non-local death, all preparation is performed by our licensed associates in our facilities. No. But, certain factors of time, health and possible legal requirements might make embalming either appropriate or necessary. Please note that embalming may be required if the deceased is being transported by air to another country where local laws need be observed, and will be required in Pennsylvania for an open casket public visitation. Services can cost less than four thousand dollars for a direct disposition to well over ten thousand for a full service funeral followed by earth burial or entombment. Direct disposition includes registering the death, a basic casket or container, and transporting the deceased to a cemetery or crematorium. For an adult, full-service funeral, Luzerne County consumers choose to spend an average of about $11,000. This includes all professional services, including transfer-of remains, embalming, and other preparation; use of viewing facilities and the facilities for the ceremony; hearse, limousine, and the purchase of a casket and burial vault. This also includes some payments to be made to others, such as clergy, cemetery interment fees, obituary publication and certified death certificates. Funeral costs have increased no faster than the consumer price index. Funeral are life celebrations; like christenings, weddings, birthdays and anniversaries. The type and cost will vary according to the tastes and budget of the client family. Not only that, funeral service is a 24-hour, labor-intensive business, with extensive facilities (visitation rooms and chapels, limousines, casket coaches, etc.). These expenses must be factored into the cost of a funeral or memorial. Moreover, the cost of a funeral includes not only merchandise, like caskets, but the services of a funeral director in making arrangements; filing appropriate forms; dealing with doctors, ministers, florists, newspapers and others; and seeing to all the necessary details. Contrary to popular belief, a funeral service is usually family-owned, like ours is, with a modest profit margin. The biggest variables affecting overall expense will be your selection of casket, burial vault or alternative container. Other than the family, there are veteran, union, and other organizational benefits to pay for funerals. Most funeral directors are aware of the various benefits and know how to obtain them for the indigent. However, we often absorb costs above and beyond what is provided by agencies to insure the deceased a respectable burial. Perpetual Care usually refers to the correct terms Permanent Care or Endowment Care. These care funds are collected with each interment space sale and held in trust to maintain the grounds, roads, and buildings of the cemetery. Yes, we offer urn vaults, designed for in-ground burial of cremains. Yes, for a nominal fee. The state-of-the-art cremation facility which we use is set up to allow family members to be present when the body is placed into the cremation chamber. In fact, some religious groups include this as part of their funeral custom. No, embalming is not required for burial. It is always your choice. Your decision may depend on such factors as whether the family selected a service with a public visitation with an open casket; or to enhance the deceased's appearance for a private family visitation; or if the deceased is going to be transported by air or rail, or because of the length of time prior to the burial. In some situations refrigeration can be utilized in lieu of embalming. In most areas of the country, state or local laws do not require that you buy a container to surround the casket in the grave. However, many cemeteries require that you have such a container so that the ground will not sink. Either a grave liner or a burial vault will satisfy these requirements. We will explain any requirements in detail. A columbarium, often located within a mausoleum, chapel or in a garden setting, is constructed with numerous small compartments called niches. They are designed to hold urns containing cremains.